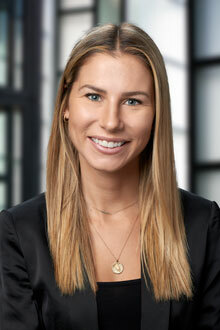 Karyn Chandler is an associate in the San Francisco office of Lewis Brisbois and a member of the General Liability Practice. She focuses her practice in all aspects of civil litigation including personal injury, motor vehicle, toxic tort, landlord/tenant, premises liability, products liability, and construction defect. The bulk of her practice is dedicated to cases involving catastrophic injuries. Ms. Chandler has handled all aspects of discovery, including motion practice and taking and defending depositions (experts, parties and percipient witnesses). Karyn has written and successfully argued countless dispositive motions. Ms. Chandler has also participated in all forms of alternative dispute resolution with positive results. Additionally, Ms. Chandler is often called upon to provide comprehensive analysis of pre-litigation incidents and evaluation for potential risk. Before joining Lewis Brisbois, Ms. Chandler clerked for the Honorable Brian Hill in Santa Barbara Superior Court, counseled prisoners with legal issues within and outside the San Francisco County Jail system, and worked with the Santa Barbara Public Defender’s office.